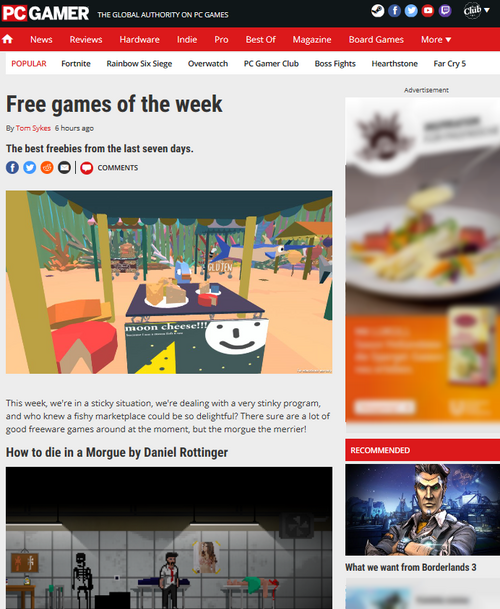 The well-known Gaming-website PC Gamer featured our 2D-Adventure in there 'Free Games of the week'-roundup. In this roundup PC Gamer introduces a selection of free games like How to die in a Morgue. The summary of the editor: "[...] if you like creepy adventures this is worth a play regardless". Read the full article on PC Gamer!